Meg's Food! 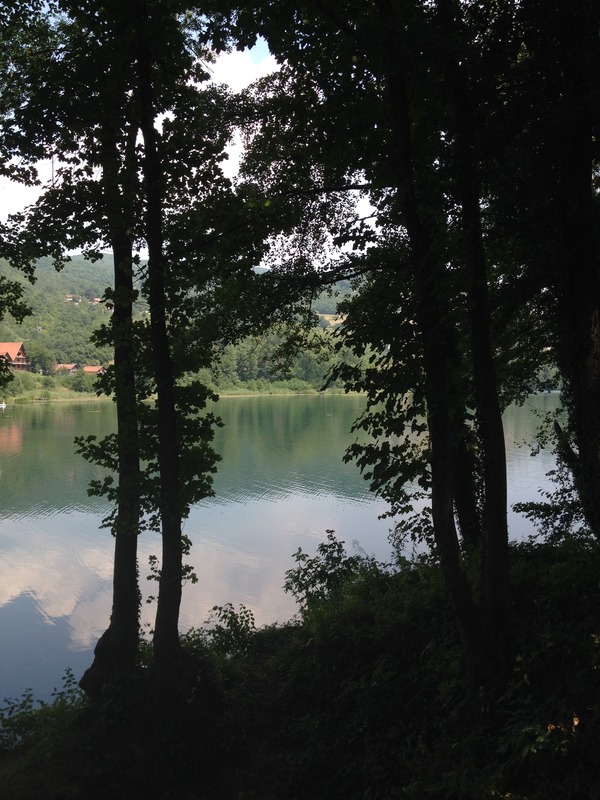 | Beautiful Bosnia - Meg's Food! We’ve spent the past six days in Bosnia and Herzegovina, and my mind has been blown by this beautiful, resilient country. I’m still trying to wrap my head around everything we’ve seen, done, and learned about here. It’s a complicated place though. 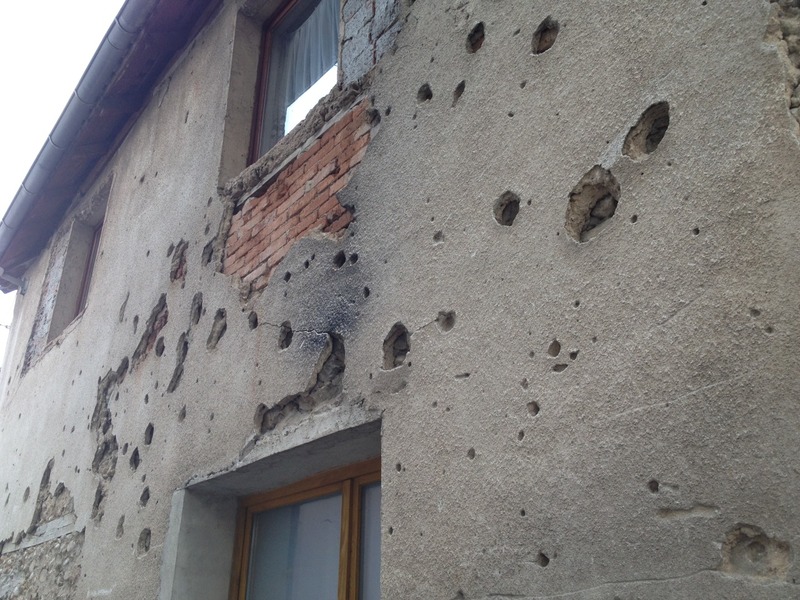 It almost seems as if the 1992-1995 war never really ended here – they just stopped fighting. In the north and east of the country, you’re not really in Bosnia, you’re in the Republika Srpska, a province made up of predominantly Bosnian Serbs (who are Orthodox Christian). In the southeast, Bosnian Croats (Catholics) dominate, and you see more Croatian flags than Bosnian ones. In the middle is the Federation of Bosnia and Herzegovina, mostly Bosniak muslims, but really a mix of all three groups. All three regions have their own regional governments, presidents, and even their own postal services, and are overseen by a national government. The whole complicated system seems to maintain religo-ethnic divisions, and ensure that that nothing can really get done in this country. We began our Bosnian adventure in the capital, Sarajevo. Sarajevo is complicated, gorgeous, resilient. It is spread out along a narrow river bed, with neighbourhoods stretching up the steep mountain sides. Our hostel was up one of these steep roads, so when we huffed and puffed our way to the top, we had an amazing view of the city below us. Walking through the old ottoman quarter, along the Austro-Hungarian buildings along the river, or through modern Novo Sarajevo, it’s easy to forget that just 20 years ago, this was a city under siege. Many buildings close to the river look brand new, but when you look more closely, the scars of mortar strikes still pockmark most of the buildings and roads. It’s a city that is continuing to heal and rebuild, but that process is far from over. We spent an afternoon learning more about the city during the war. Our guide, who grew up in the city when it was under siege for almost four years, explained how Serbian forces and paramilitaries had the city surrounded, except for the UN-held airport. To get food or supplies, civilians would make the dangerous run through the city, down ‘sniper alley’, and across the runway at the airport to get to the small stretch of mountains that were held by the Bosnian army. After a year, civilians built a tunnel from the city under the airport to the mountains to make the journey marginally safer. 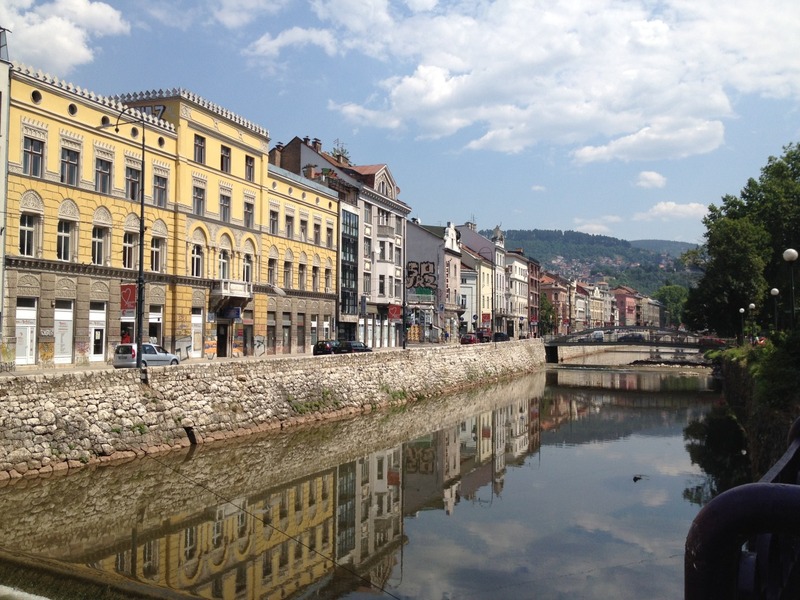 Sarajevo’s beautiful location in a mountain valley proved an ideal location for the Serbian army to surround the city and hold it under siege. The army occupied the mountains, launching constant mortar attacks on historical monuments, mosques, and buildings known to contain civilians. 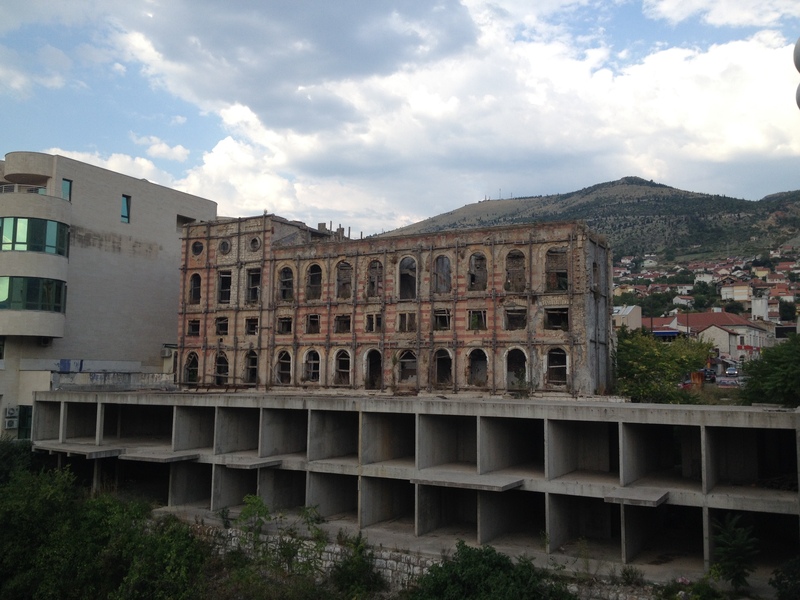 We went up into the mountains and saw an old hotel that was used by the Serbian army. 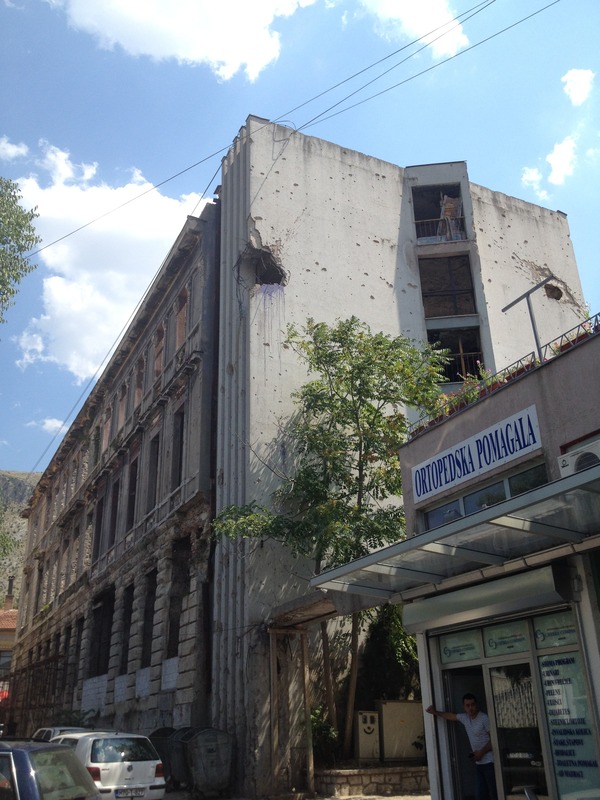 It was bombed by NATO in 1995, and is still in ruins. 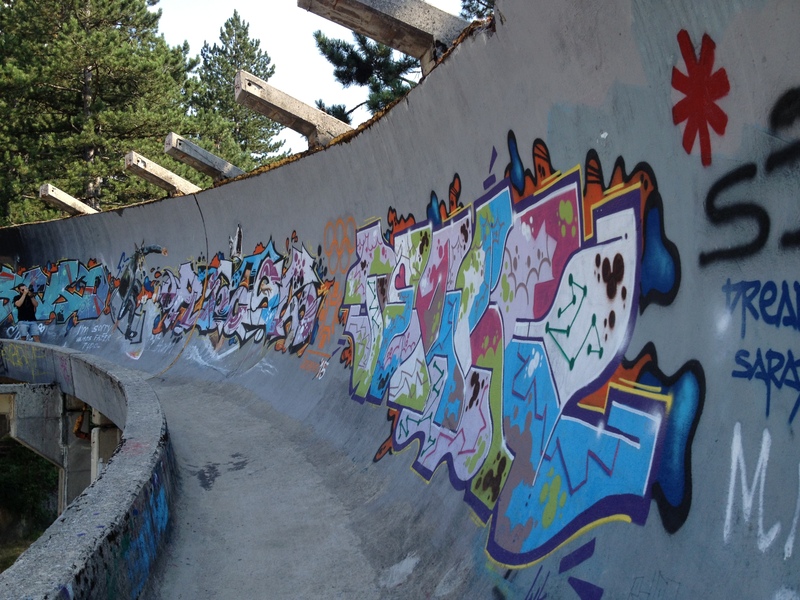 We also visited the abandoned bobsled track built for the 1984 olympics, now covered in graffiti. Sarajevans are resilient though. Even during the war, the people of Sarajevo were determined to live as normal a life as possible. They held beauty pageants, the symphony performed in whatever space they could find, and the Sarajevo film festival, one of the best in Eastern Europe today, began during the war. 3 days wasn’t enough time to spend in this fascinating city, but we had to move on to Mostar. 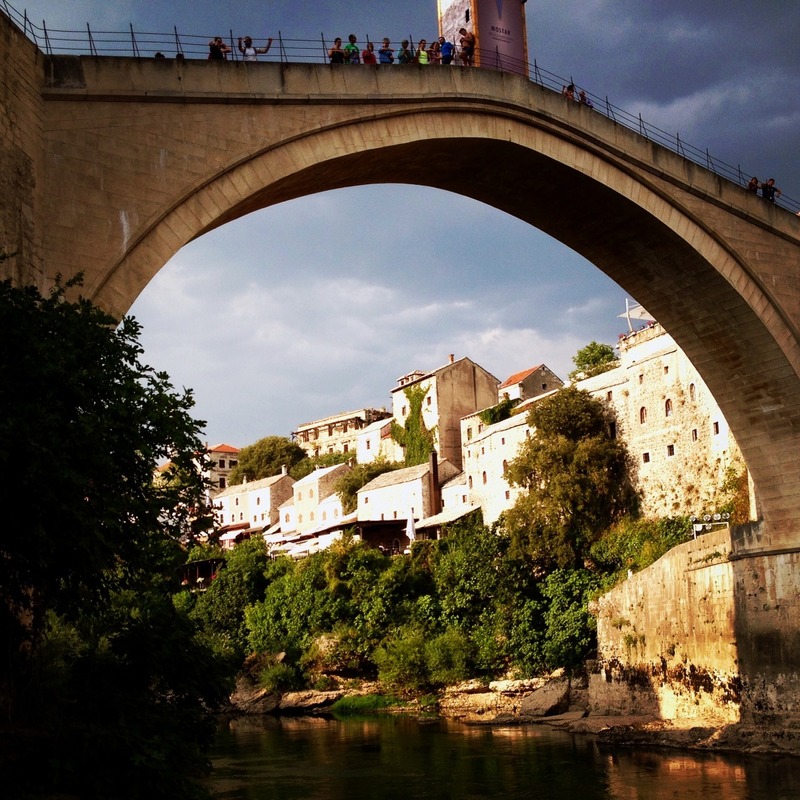 Mostar is known for its beautiful medieval bridge (‘Most’ means bridge). 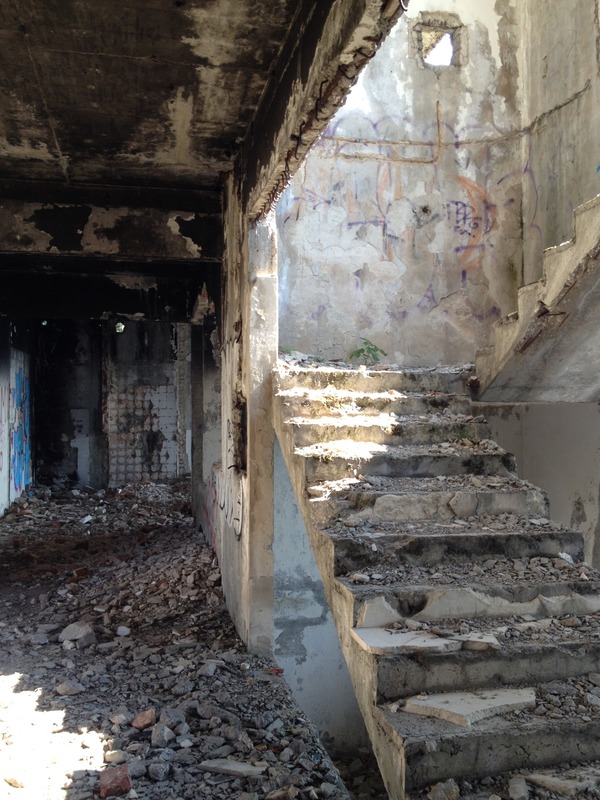 During the war, the bridge was destroyed by Croat mortar attacks, and the emotional impact of that destruction, seen as an attack on the very identify of the people of Mostar, lingers today. 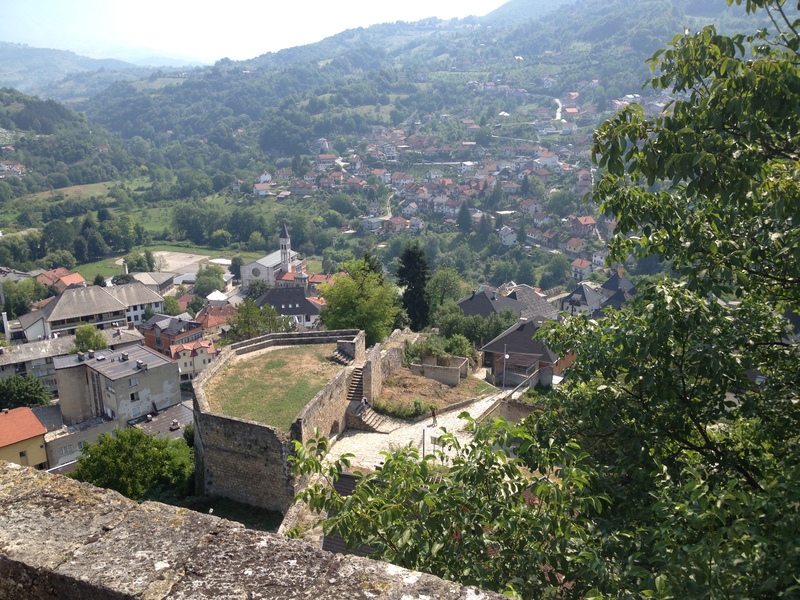 The city is packed with tourists, but when you venture to the east side of the city, where the Croat army forcibly moved and contained Bosniaks for over a year, you see buildings still in ruins from the war. It’s something we saw everywhere in this country – they are beginning to rebuild, but there is still a long way to go. 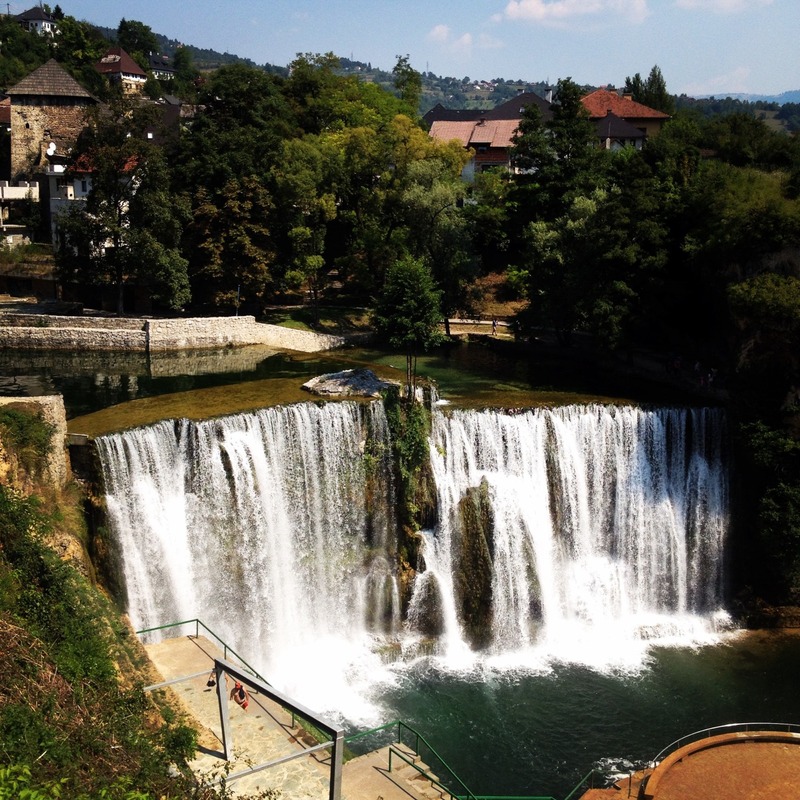 Our last stop was Jajce, a pretty little town in the centre of the country. The town is on the banks a river that forms a waterfall right below downtown. We biked out to the Pliva lakes, where we spent the day hanging out with Bosnians (not many tourists in this part of the country!) and swimming in the beautiful cold, clear water. One of my favourite things about Bosnia has been meeting the people who live here. Like all the Balkan countries we’ve been to, the people are incredibly warm and friendly. From our tour guide in Sarajevo, who grew up under the siege and spent an afternoon telling us about his family’s story, to the pizza guy down the road from our hostel, who just moved back to Bosnia after living in Arizona for 15 years, people are eager to get to know you and share their stories. Our pizza guy told us about how he moved to America with $40 in his pocket, worked for a year as a dishwasher, took out a loan, and within 2 years had a wildly successful pizza restaurant. 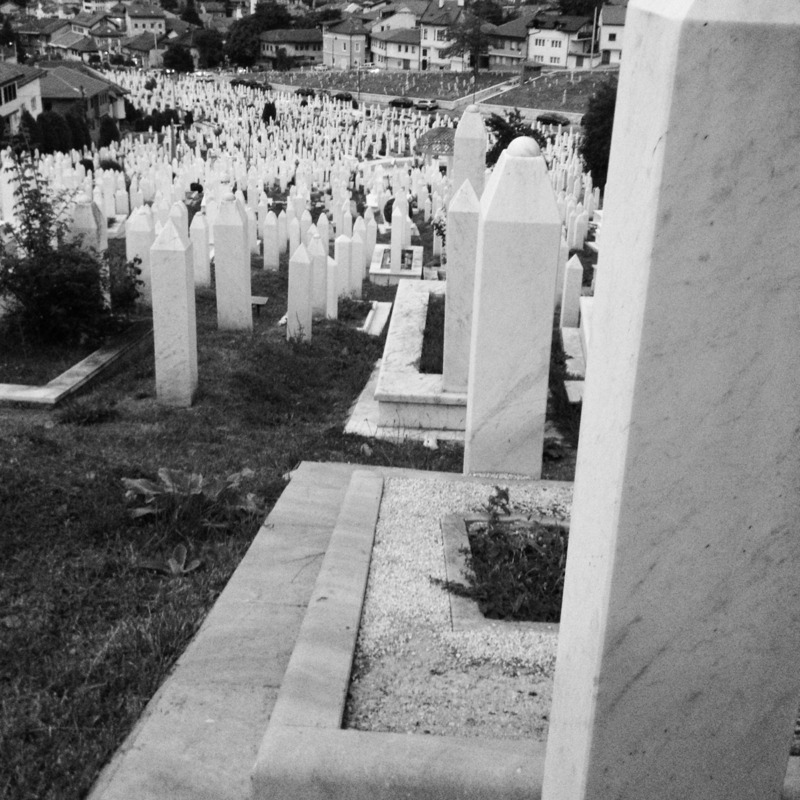 We talked to him a lot about what it’s like to live in Bosnia now, and the problems this country faces as it attempts to move away from its war-torn past and enter the EU. We were sad to leave Bosnia, but I have a feeling I’ll be back. There’s something about this complicated little country that makes me want to learn more. It’s definitely a place you go to more than once. 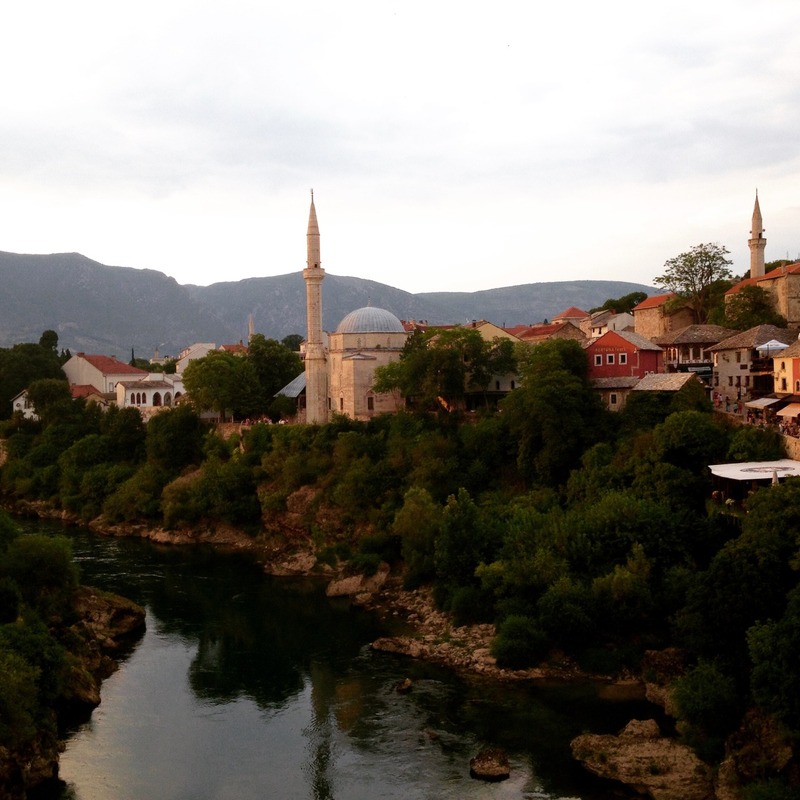 This entry was posted in Life, Travel and tagged bosnia, mostar, sarajevo, travel. Bookmark the permalink.